This was a great workshop I did with The Travel Of Art based in Mumbai. 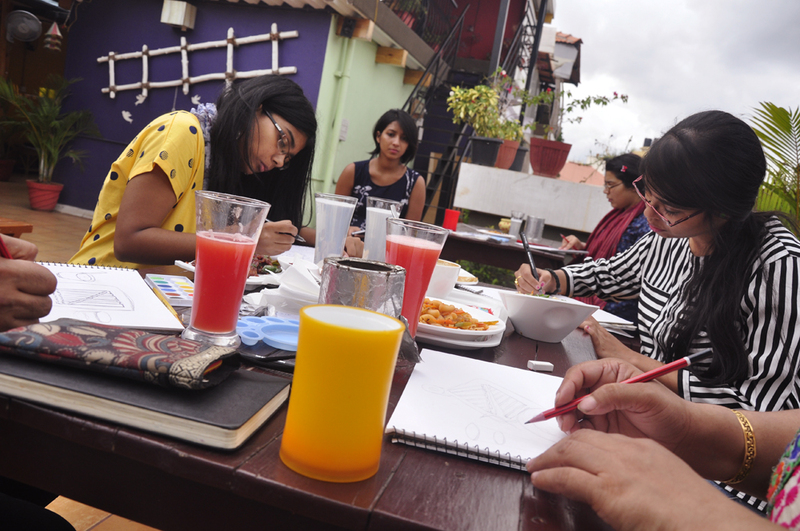 This workshop was focused on sketching food. Here they learnt how to draw food , how to colour with watercolour. They learnt how to eliminate extra details and focus on the main subject, bring it out so the composition looks better. They learnt how to make food look delicious and how to add lettering and other details around the food sketch. 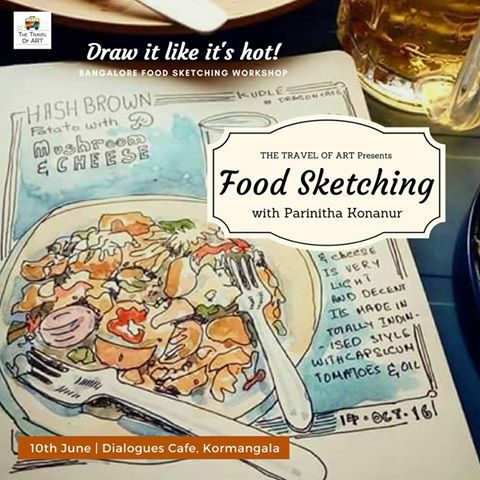 We met at The Dialogues Cafe Koramangala where we ordered up some colourful food. They learnt to draw the sketch and colour with watercolours, all while having fun and having bites from the food.